Fancy a few hours in the fresh air? Why not come and visit us on our Allotment Open Day? Join the Facebook event here. 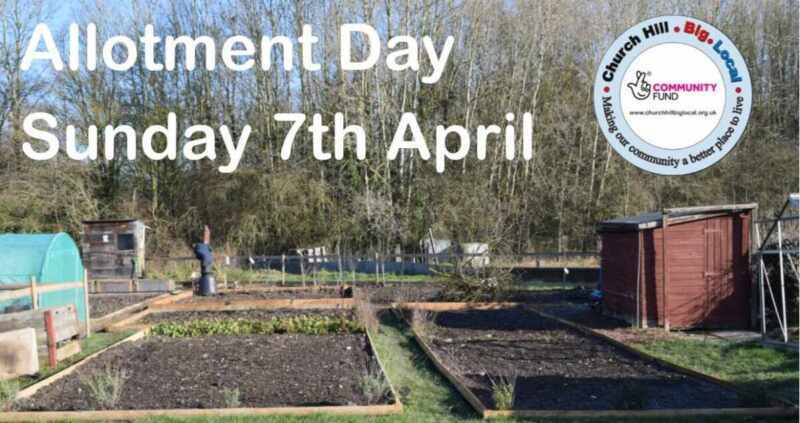 On Sunday 7th April 2019 12-2pm, we are welcoming volunteers to come help us with a variety of planting jobs down at the allotment. All the plants and produce grown at the CHBL allotment will be used for projects within the community. The day is also an opportunity to meet some of the CHBL Green Spaces Team and members of the Allotment Association who will also have their produce shop open for you to visit! Venue: Papermill Drive allotments, Papermill Drive, Redditch. B98 8RD (opposite Church Hill Way).